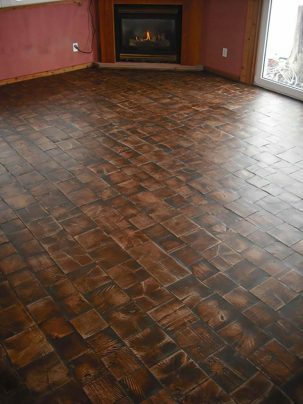 It is likely you have never seen one of these floors before, End grain wood tiles! This type of flooring is literally turned on its end. Log end wood tiles are a truly unique item. The tiles come from beams and are sliced into flooring. Rather than cutting a plank of wood the length of the log, end grain wood is actually cut at a 90-degree angle to the grain. 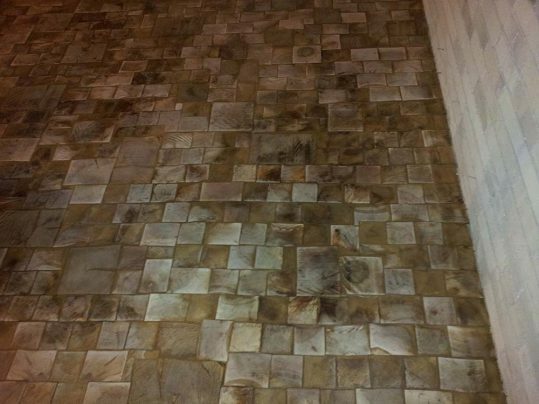 All our tiles are air dried so that the moisture is taken down as slowly as possible. The reason for this is because end grain can lose moisture very quickly, resulting in warping. Air drying solves this issue. The appearance is unlike anything many have seen. All the materials for this type of flooring come from Canada, mostly Ontario. They can be used as flooring, in feature walls, or signage. They come in all sorts of sizes and species. In the flooring application, they resemble a cobble stone road. When finishing these floors, the tiles are all filled first. 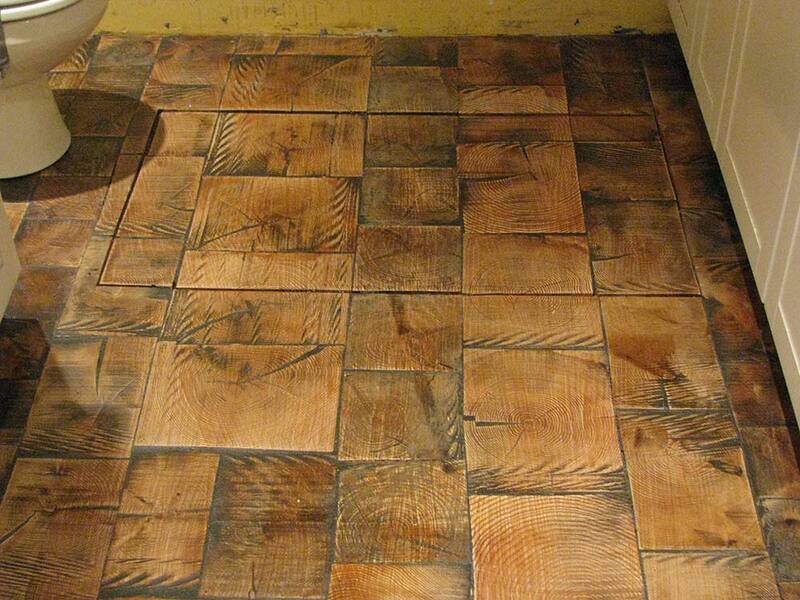 Then the tiles are sanded down. 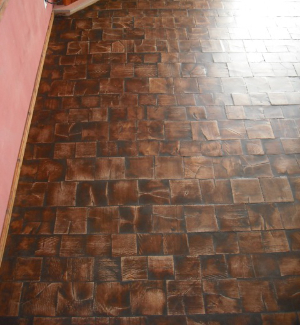 At this point, stain can be applied, or the tiles can be finished in their natural colour. The log end wood tiles can take on many different appearances, depending on the specie, stain, and tile cut used. 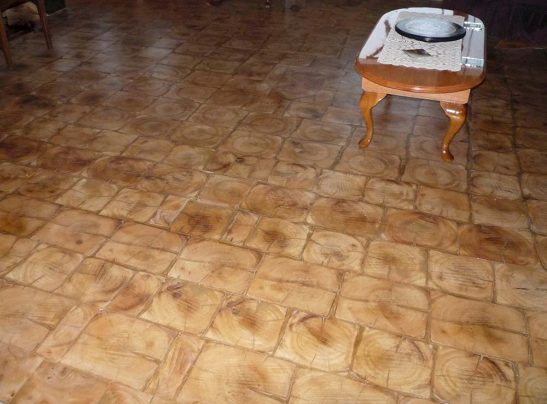 Another benefit of log end wood tiles is their strength and how they resist dents. Because of this trait, end grain is used in butcher blocks, factory flooring, even streets have been made with hardwood that has been cut on the end grain! So not only does end grain wood tiling make beautiful wood flooring, but it’s also extremely tough. 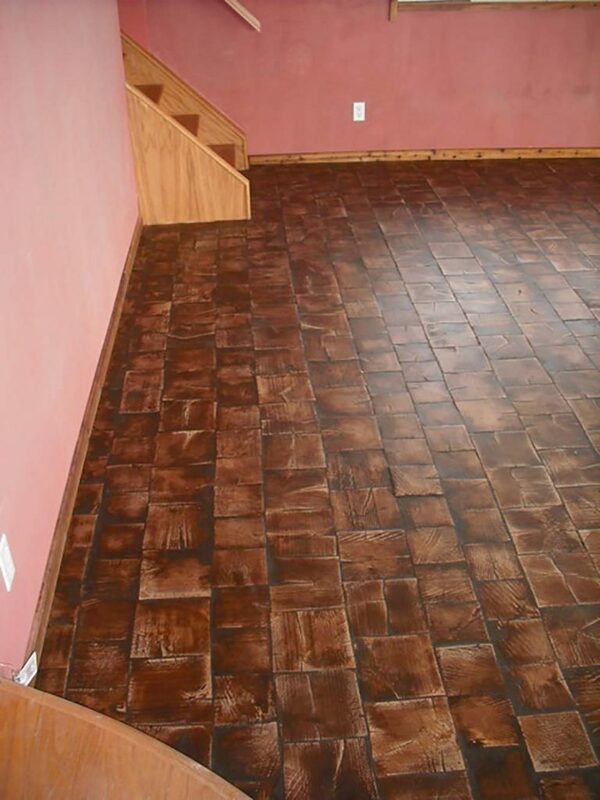 Quite often wood tile flooring is used to accent a house by using it in 1 or 2 rooms. It can be used in conjunction with traditional plank flooring to create unique borders, frames, accents, and partitions. It looks great in wine cellars, restaurants, bars, feature walls and foyers. Make a statement with this extremely unique product.